Every now and again we see something in a professional race that mirrors an amateur’s everyday spin around their local countryside. 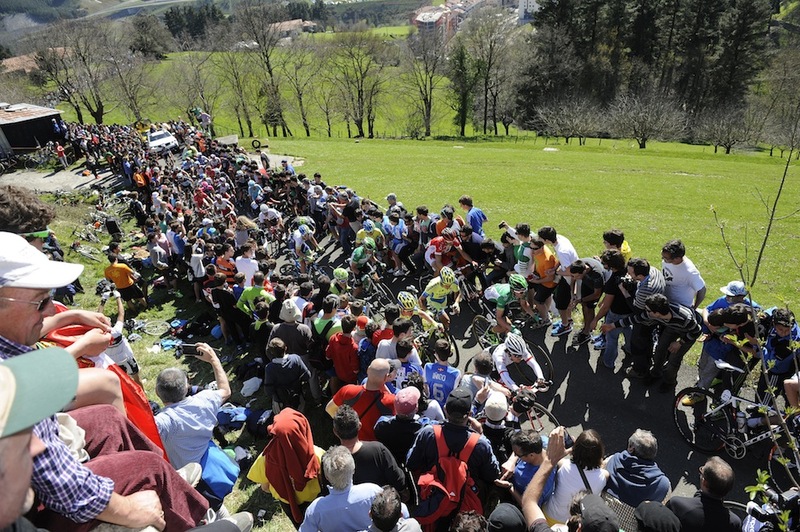 Wednesday’s stage in the Tour of the Basque Country saw such an event. With two ascents up the Alto de la Antigua – nicknamed ‘The Wall’ – the riders were not in for an easy day, but few of them will have imagined they would have to push their bike up part of the climb. At some point in our cycling lives we have come across a climb that is far more difficult than our talent can manage, meaning that our cleats take a pounding on the asphalt. It’s not something you often see in the professional arena, however. But as the dense crowds formed a narrow tunnel for the riders up the Antigua several riders found themselves unable to keep moving. The knock-on effect was that the line of riders behind them were also forced to step off and were unable to get going again, resulting in dozens of riders jogging up the hill pushing their bikes to the top. So next time you come to a halt on an innocuous climb on your Sunday ride, remember that even the pros have to get off and push sometimes.